The key to sunflower seed oil being so perfect in our skin care lies in the fact that it's a great source of vitamin-rich nuttrients that feed the skin. That means it’s easily absorbed so its beneficial ingredients begin to nourish skin. It’s packed with essential fatty acids to help your skin stay soft and moisturized. The exceptionally high, Vitamin E content helps smooth the appearance of skin. Hydrated and replenished, you’ll see your skin’s natural balance and beauty. 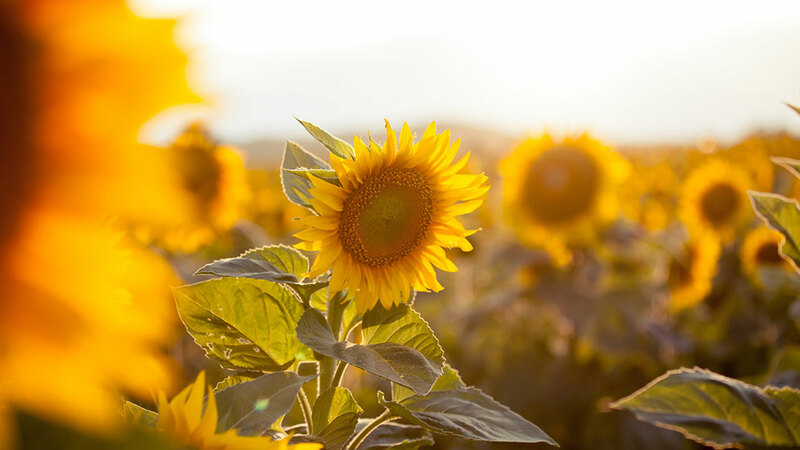 As the body’s largest organ, keeping your skin balanced is crucial to your overall well-being and one of the reasons we put so much effort into the purity and integrity of all our ingredients–especially our carefully cultivated sunflowers.